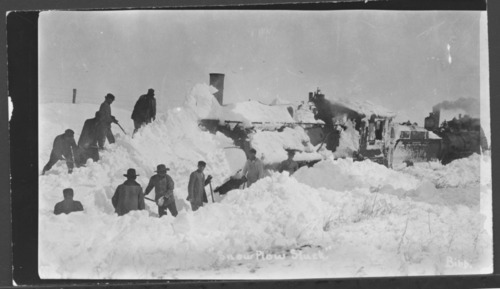 This photograph shows a railroad snow plow stuck in a drift during the 1912 blizzard. The photograph was taken in either Pratt or Barber County. Another view is available on Kansas Memory item 225050.